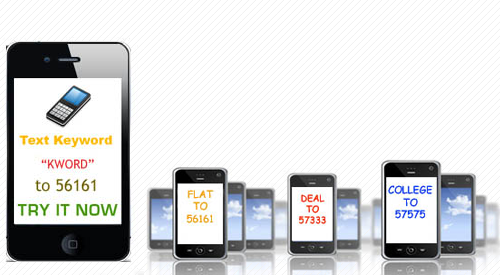 Anjuinfotech offer a range of sms short code messaging services which offer different features. Anjuinfotech offers you service dedicated keyword based sms service on 5 digit number like 56677,56767,53030 and ten digit virtual number like 9870102020. We also offer 7,8,9 and 10 digit dedicated short code number. In every case the incoming messages from the mobile number can be delivered back to you by Email,Web Based Panel,HTTP API, SMTP or as an SMS to your Mobile Phone. We offer single pricing for all 5 digit keywords. Activation time for keyword is 24 working hours.